How difficult was it to achieve the melding of industrial-warehouse materiality? 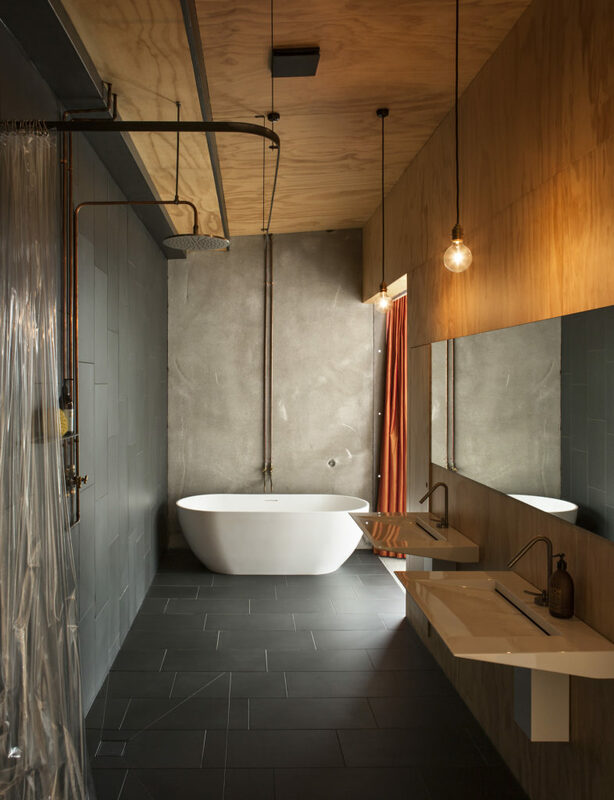 It was incredibly easy and something that really interests us – transforming a raw, rough industrial space into something luxurious with a few simple touches. Or taking something quite ordinary like a brass hose tap and celebrating it. The ensuite opens at each end onto your bedroom. What was the rationale? We wanted the bed to ‘float’ within the bedroom – the doors slide away into the wall to give that effect. We wanted ensuite access from both sides of the bed and to take advantage of the fantastic view you get standing in the shower and from the bath. We have in-wall storage (1.8m high and 105mm deep) behind dressed pine plywood doors at either end of the mirror.